Young Workers Conferences: Two Full Houses in Philadelphia! More photos availalbe at the IATSE Flickr. 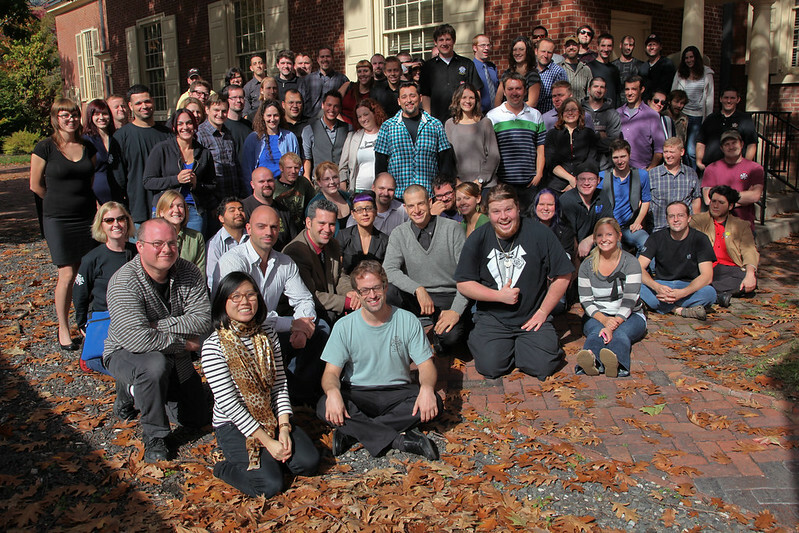 There were two full houses during the IATSE Young Workers Conferences in Philadelphia this fall. The Conferences were aimed at teaching practical leadership skills and empowering members 35 and under in their local and their jobsite or workplace. Instructors taught educational seminars to 109 attendees at the September 2012 Conference, and 71 attendees in October 2012, from 71 IATSE locals between the U.S., Canada, and two attendees from our sister union BECTU in the United Kingdom. Those who attended were sponsored by their Local executive board and represented numerous crafts and different levels of union leadership. From Local officers, job stewards, members involved in labor activities outside the IATSE and some just dedicated IATSE members who wanted to get more involved; a diverse group of younger members attended. Regardless of their position, all were excited, dedicated, and ready to share ideas. The first time that the IATSE has ever held an event of this kind, the Conferences were split up into two events to accommodate as many applicants as possible. IATSE International President Matthew D. Loeb kicked off the September conference, and First International Vice President Michael Barnes spoke at the October conference, both mentioning the importance of activism within the labor movement, as well as sharing their own experiences of being a young IATSE member. International Representative Joe Hartnett emceed the Conference, as well as lecturing about “Young Workers in the IATSE” and “The History and Structure in the IA.” National Labor College instructor Patricia Westwater spoke Saturday on the Myers-Briggs Type Indicator which is personality information that can be applied towards working with others on the jobsite or group environment. University of Arkansas Labor Education Program instructors Grainger Ledbetter and Meredith Stepp finished off Saturday and Sunday, continuing with the leadership instruction and reiterating “Why Unions Still Matter.” Finally, Sister Leah Okin of Local 28 spoke on her own experiences as an active young union member. Despite a heavy education course schedule, the Committee members and instructors noted how attentive and engaged all attendees were. Between the early mornings and seminars, attendees found ample time to network and meet union members like themselves. Providing this invaluable opportunity for members to meet and talk would not be possible without the help of Local 8. Based in Philadelphia, Local 8 volunteered members to assist with logistics throughout the Conference, acted as tour guides around the city, and were overall generous hosts to this event. If locals or members are interested in further activities of the Young Workers Committee, they can sign up for the mailing list at ywc@iatse-intl.org and follow them at: www.facebook.com/groups/iatseywc and @IATSEYWC.